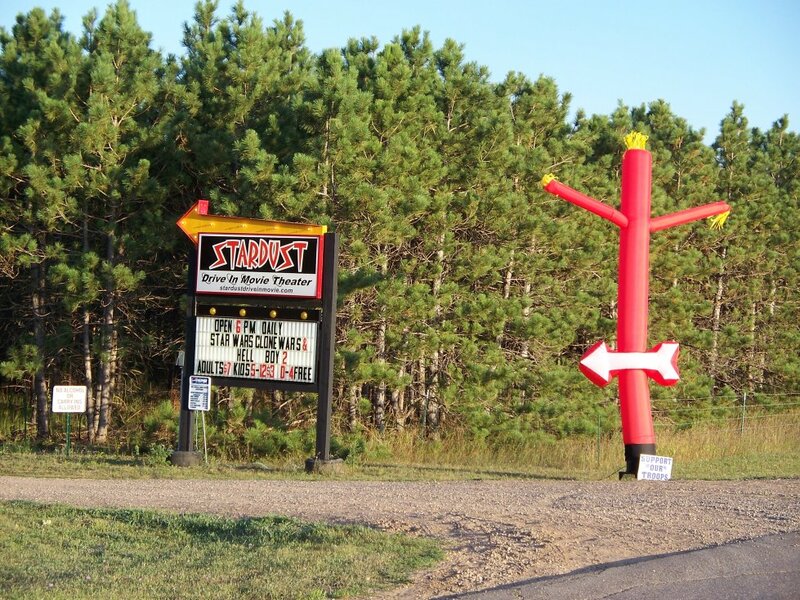 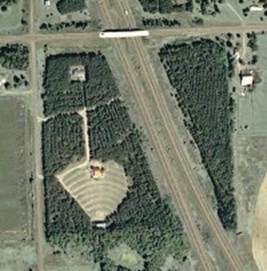 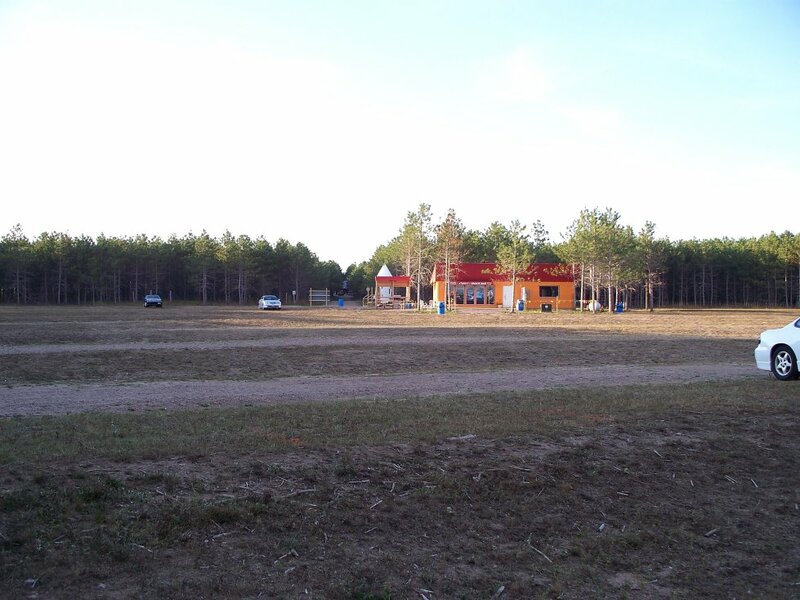 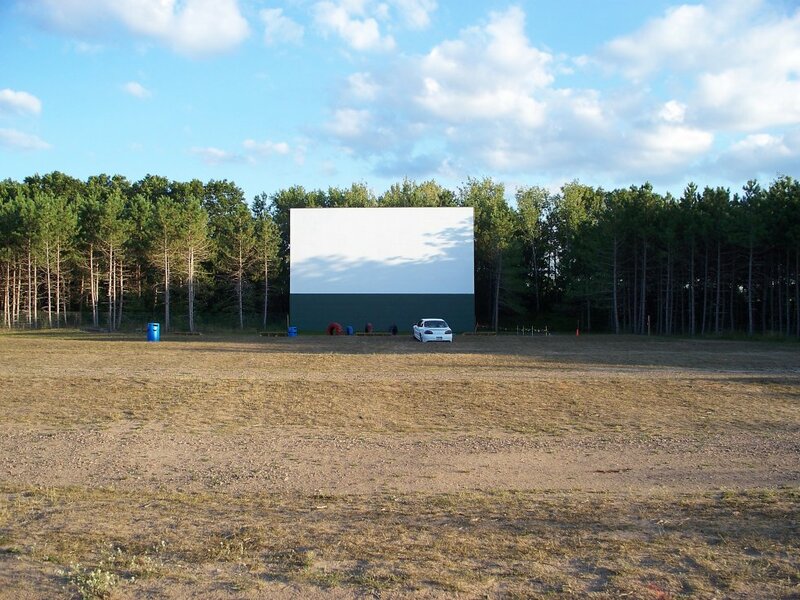 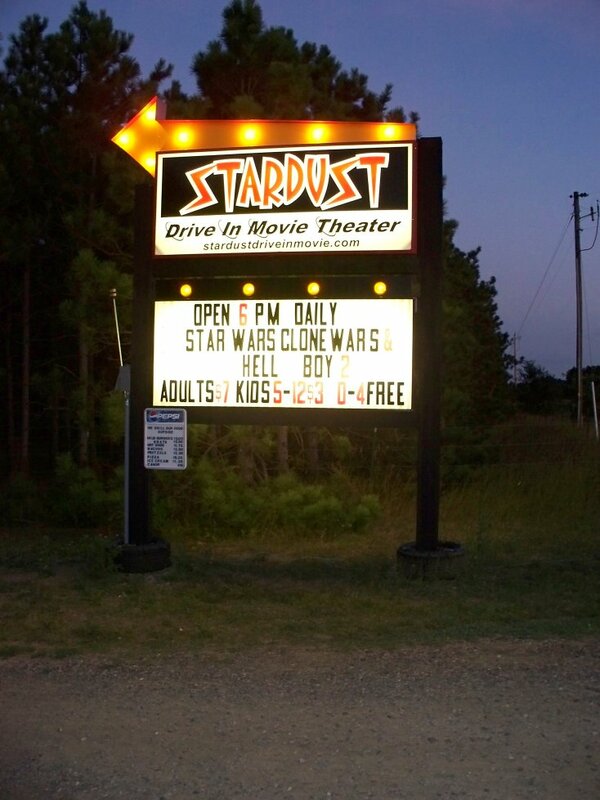 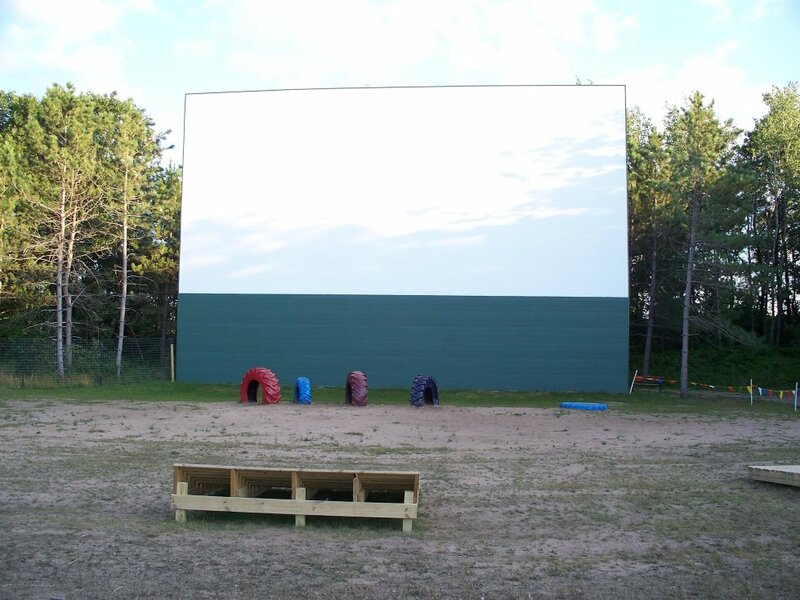 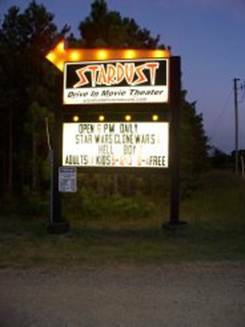 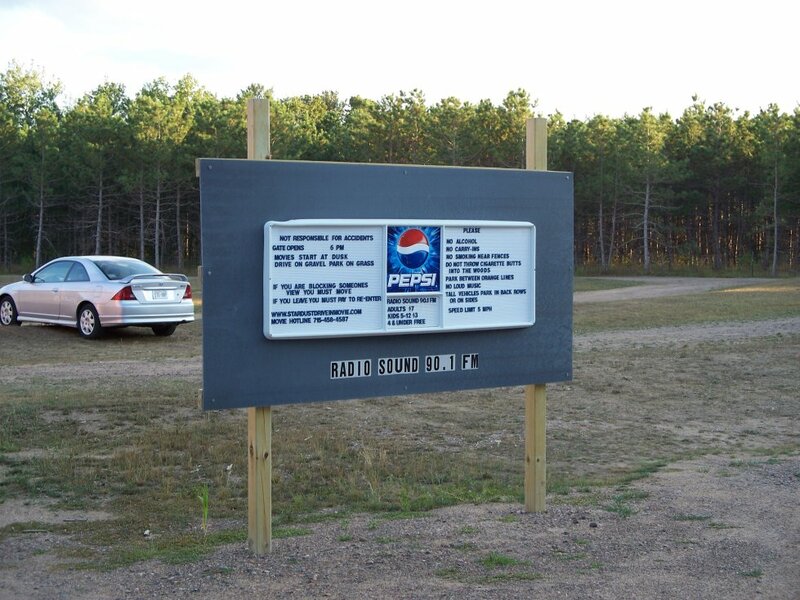 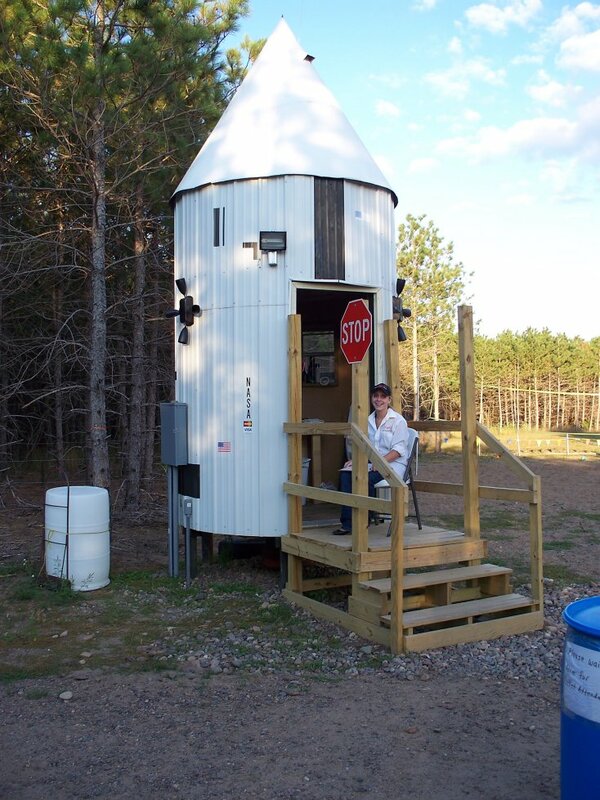 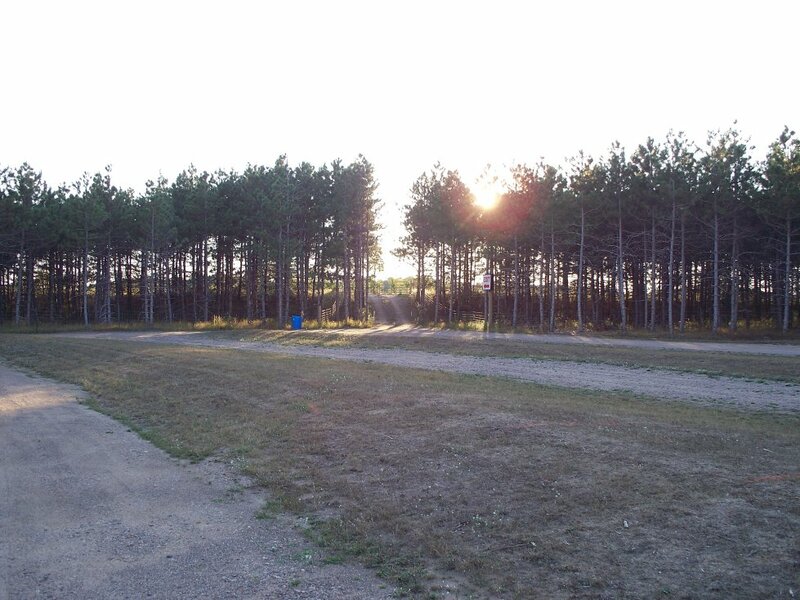 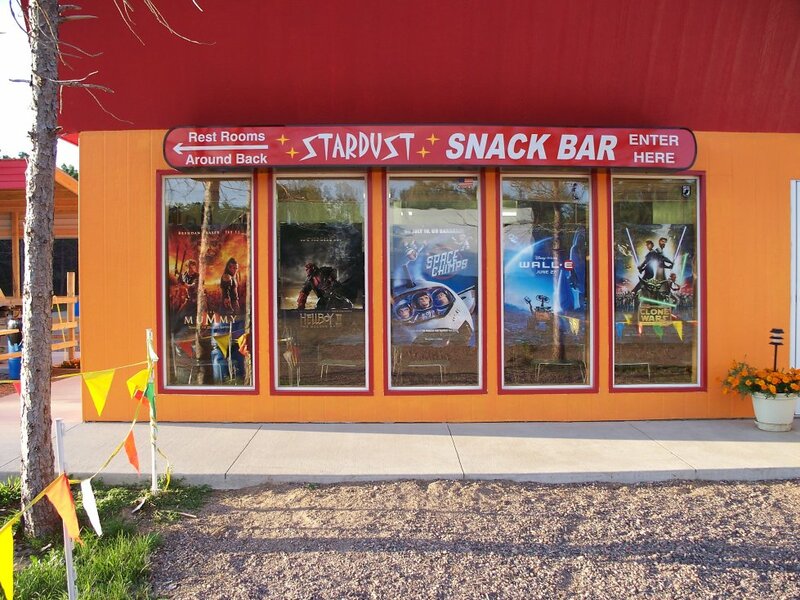 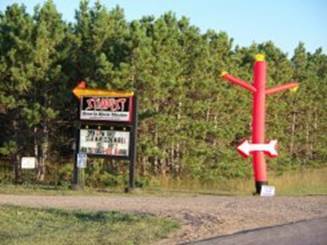 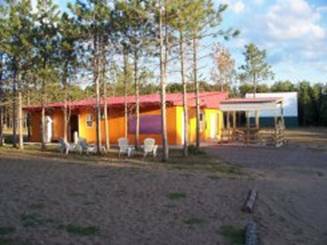 The Stardust Drive-in theater opened in 2008 just north of Chetek, Wisconsin. It’s in a nice, wooded location alongside US 53 (see map below for access). 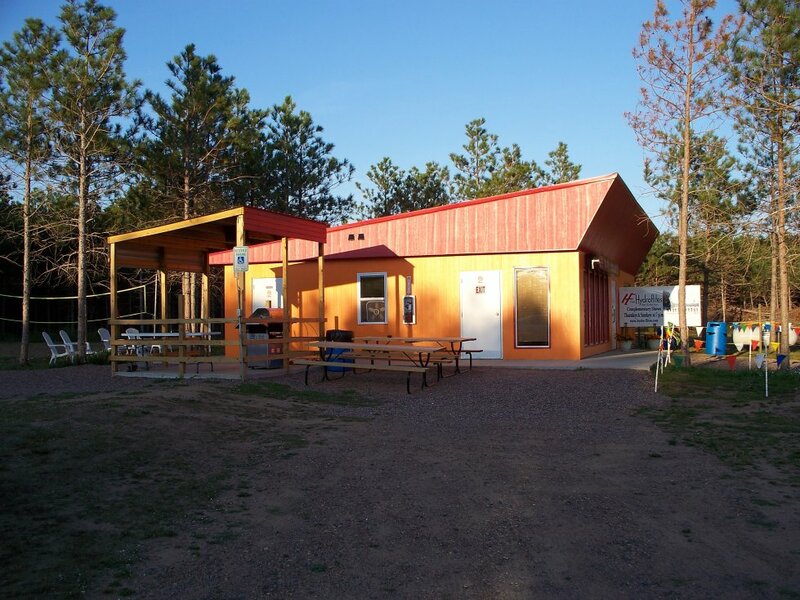 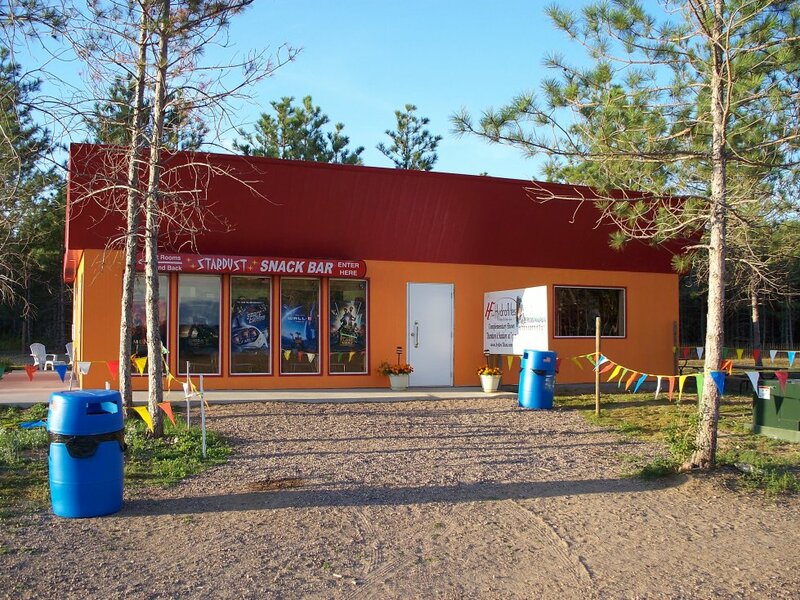 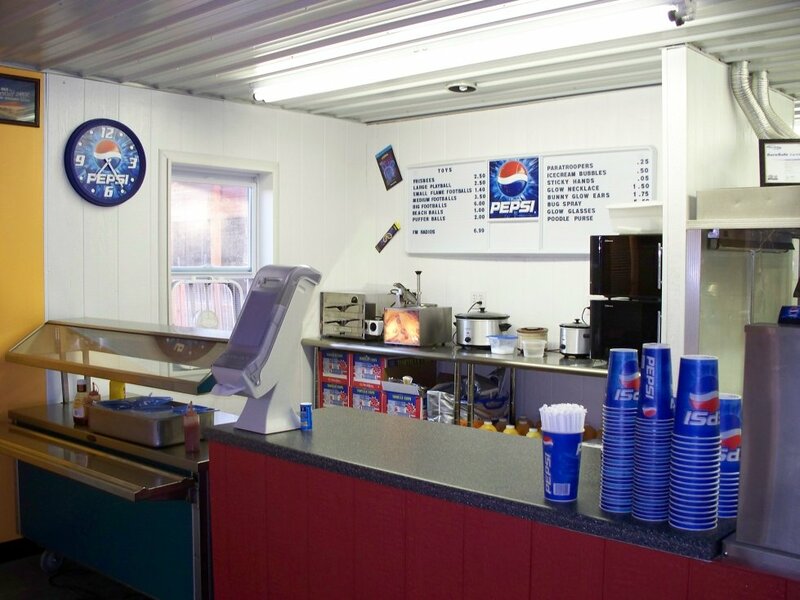 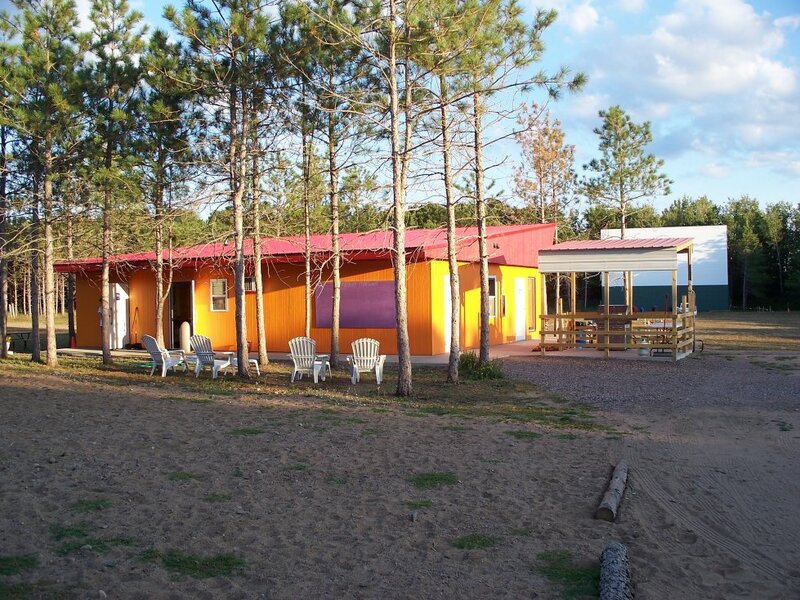 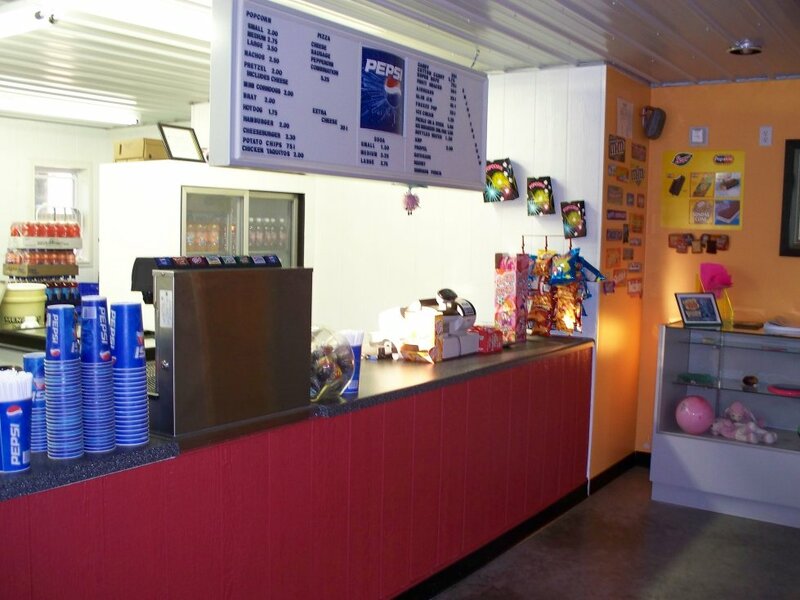 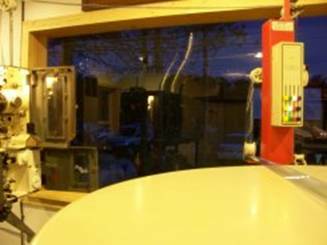 A very nice drive-in, with a good selection of food at the snack bar. 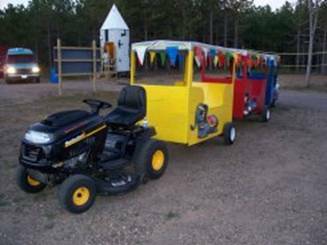 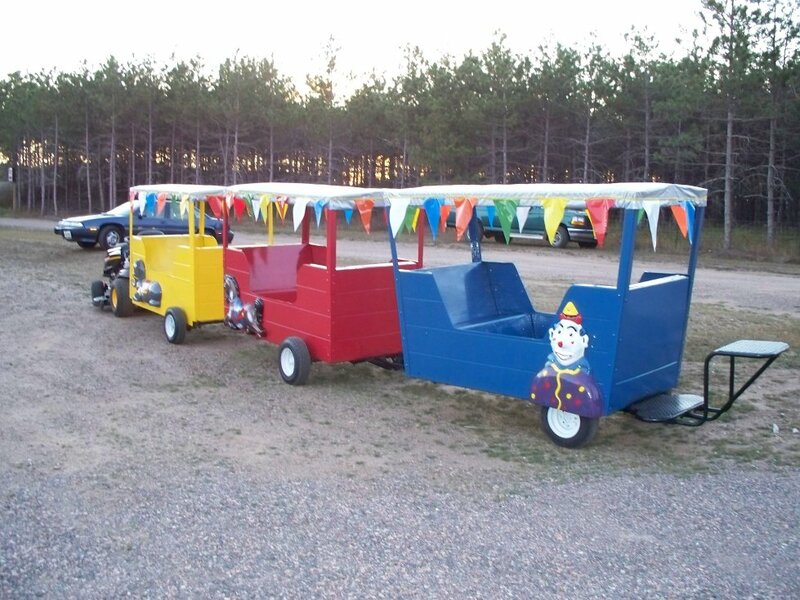 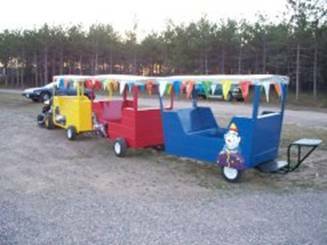 A unique ticket booth, and a trolley for the family to ride on. 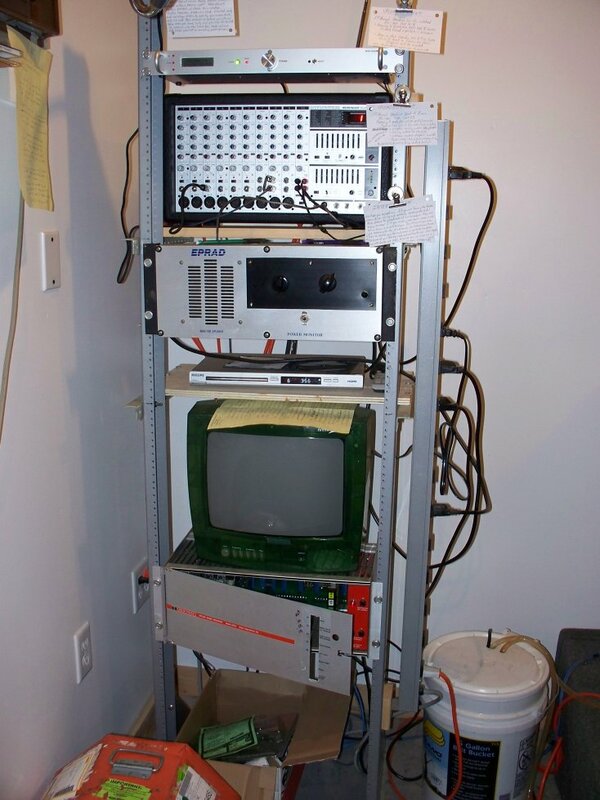 A second screen has been added more recently. 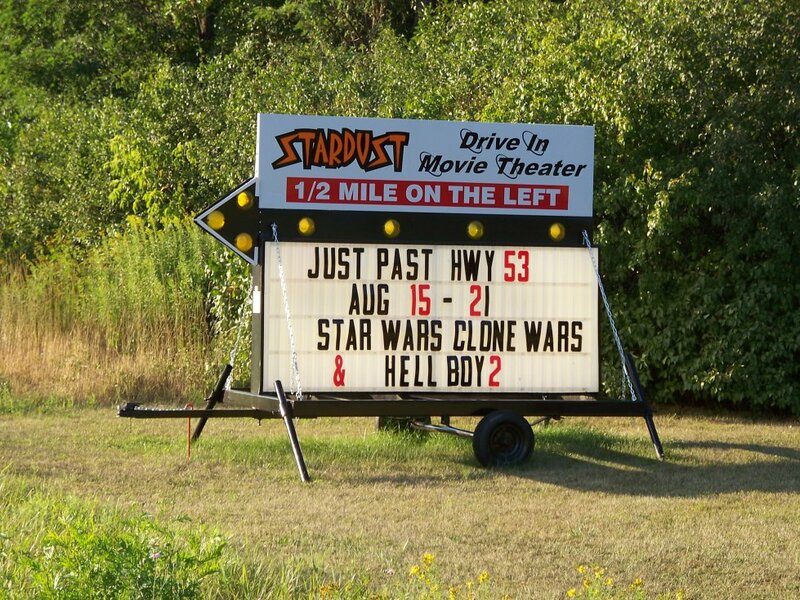 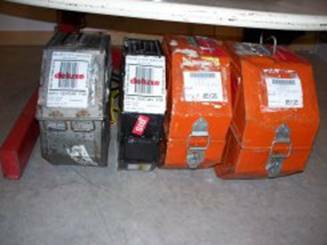 August 2008: Movies for the night were “Star Wars: The Clone Wars” and “Hellboy 2”. 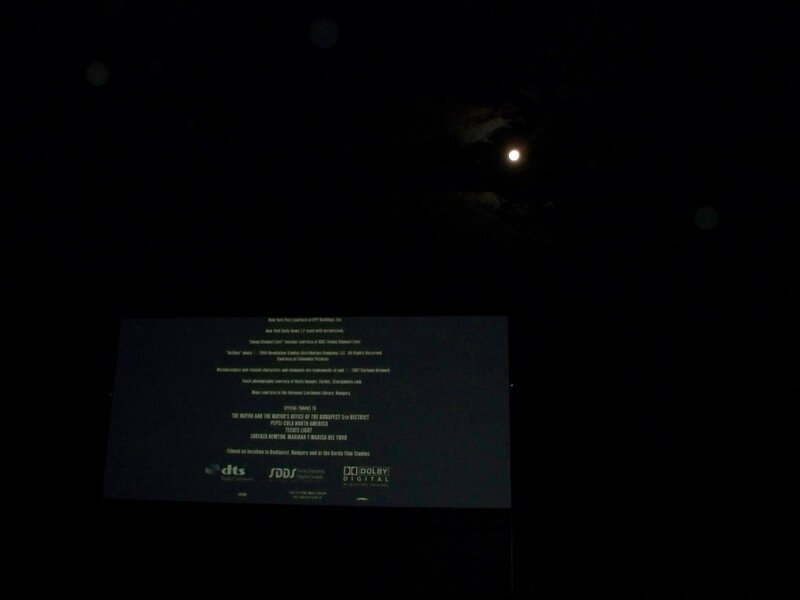 Really nice weather, and a full moon. 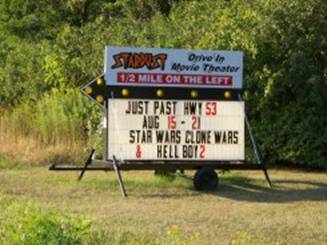 Marquee at corner of County SS and OO, Marquee at theater Entrance, and Entrance Marquee lit up at night. 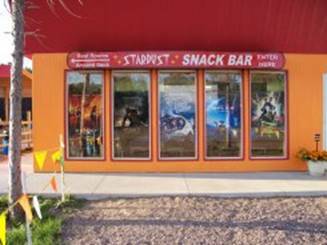 Ticket Booth, Posters of current and upcoming movies, Sign with rules and Radio frequency. 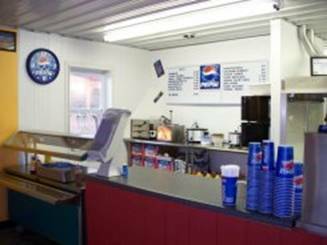 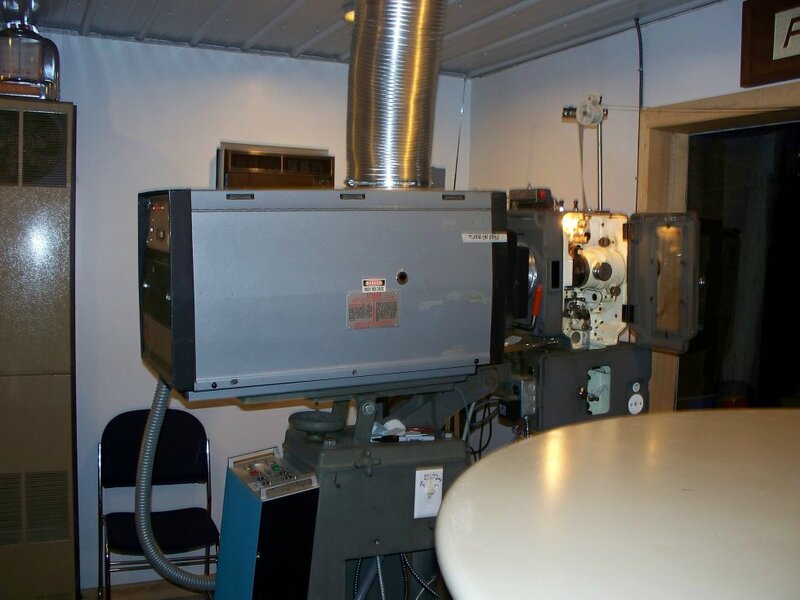 Three views of the Concession stand / Projection booth. 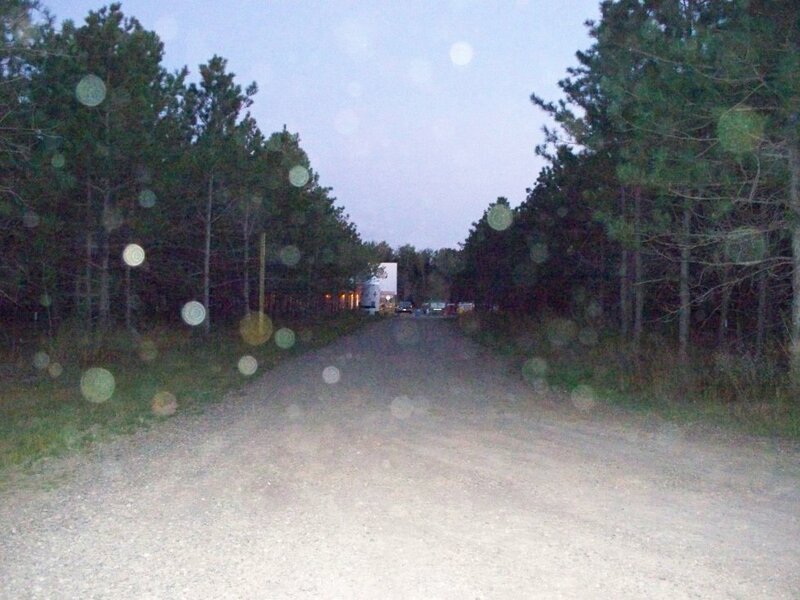 Grounds from near the screen, Funky spots that showed up in the photo, and the Entrance road. 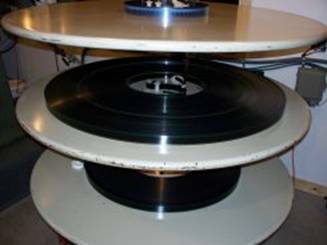 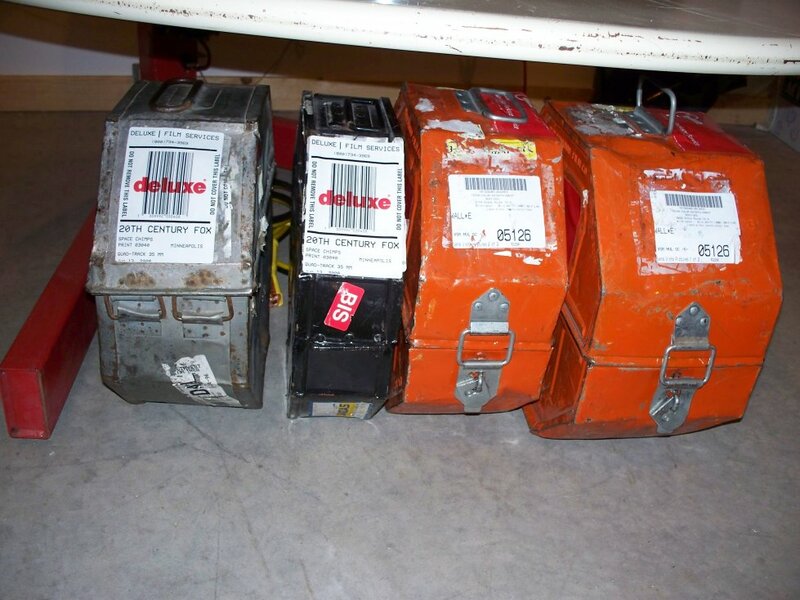 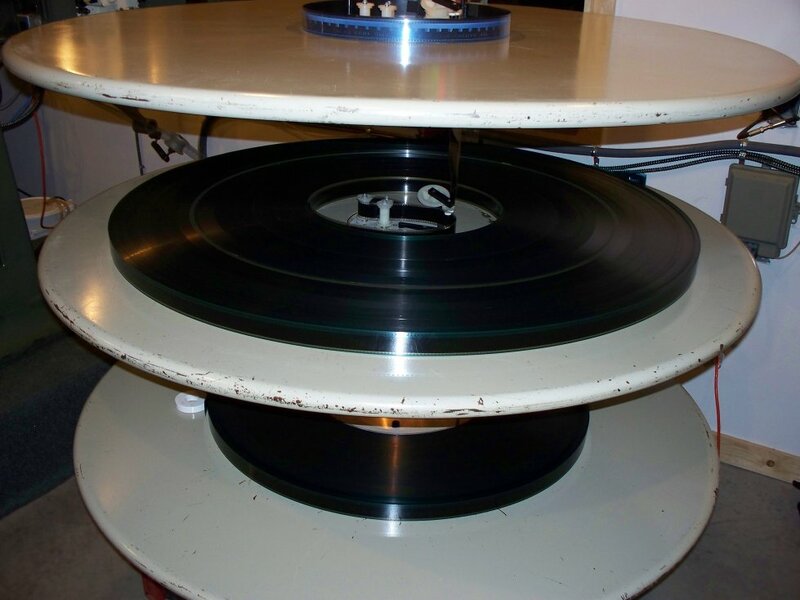 Space Chimps and Wall-E, the theater’s Platter system, and the Sound system for the theater. 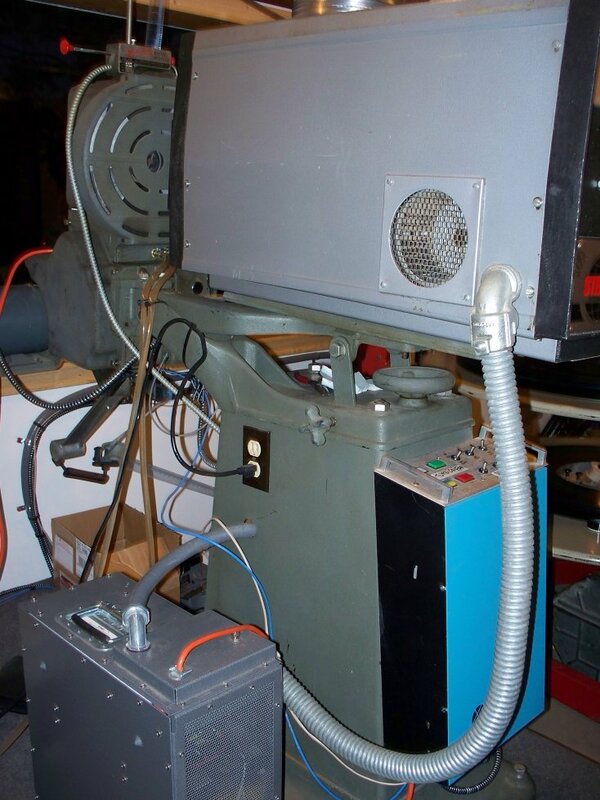 Three views of the projector. 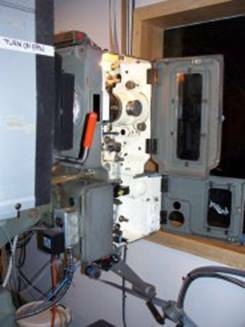 Looking out the projection room window towards the screen. 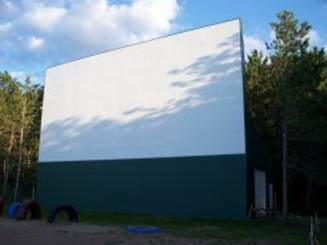 Three views of the screen. 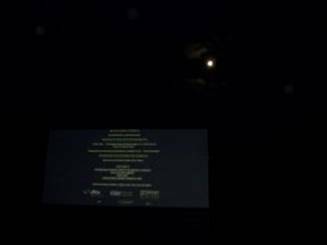 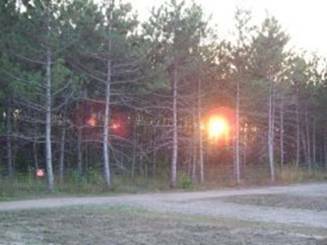 Views of the sunset through the rows of pine trees, and a shot of the moon after the second feature. NOTE: There is no access to County OO from US 53. 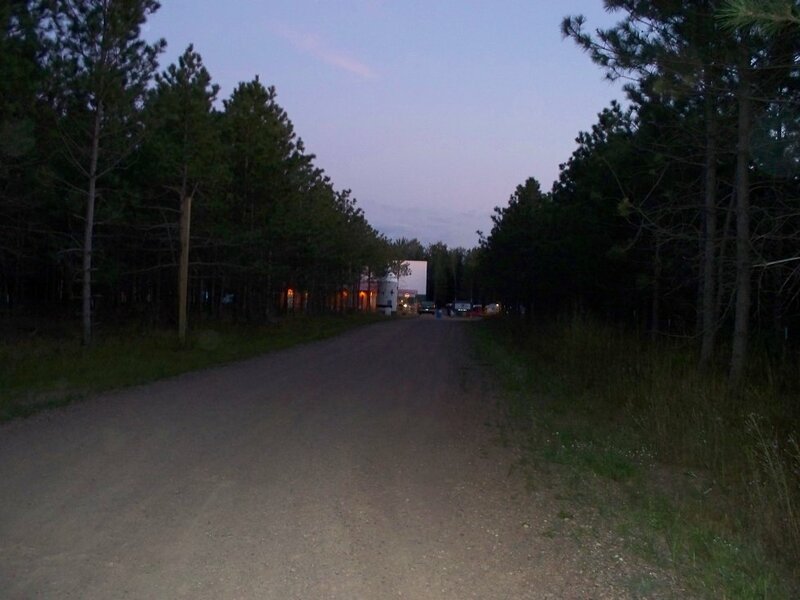 The road to the drive-in is the first left after going over US 53, if going westbound on County OO.